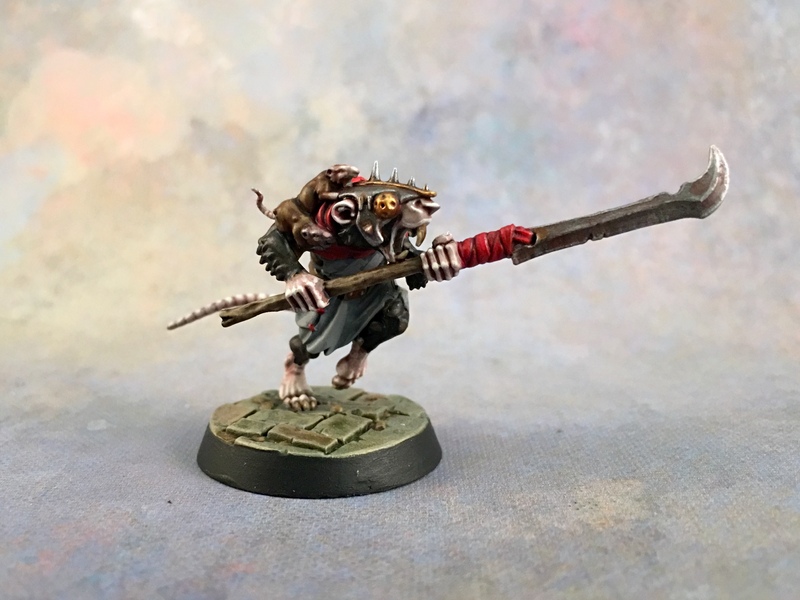 I painted up the Shadespire Skaven over the weekend: I want to give them a try, and there’s no excuse for me to be playing anything in Shadespire unpainted. 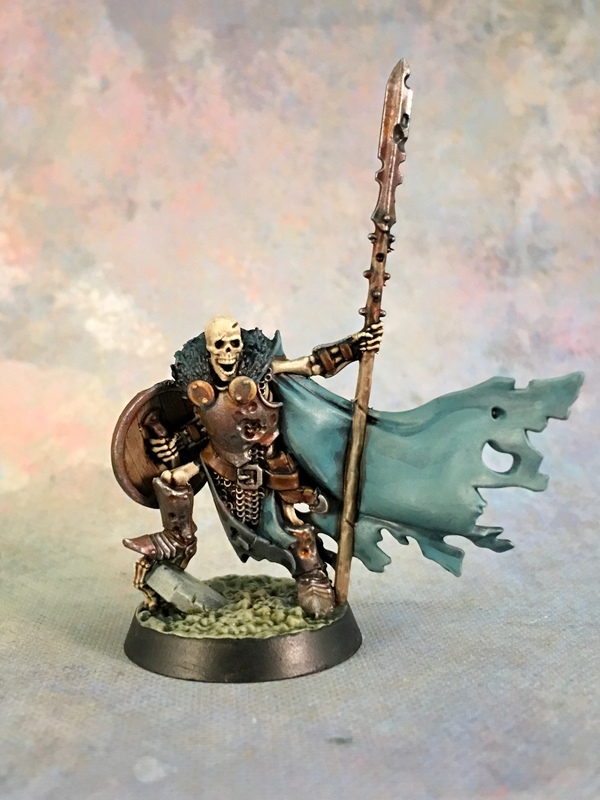 It only took about a day and a half’s hobby time. 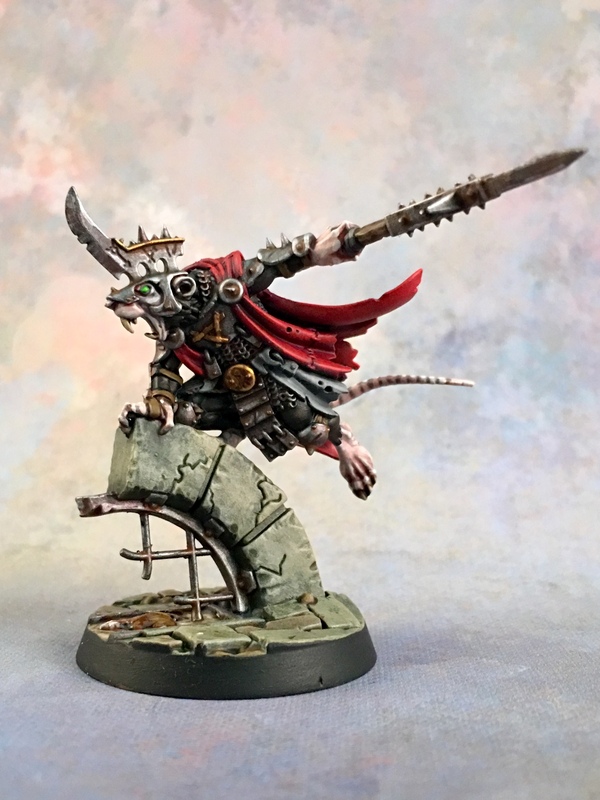 I don’t think they’re particularly noteworthy: just servicable Skaven. 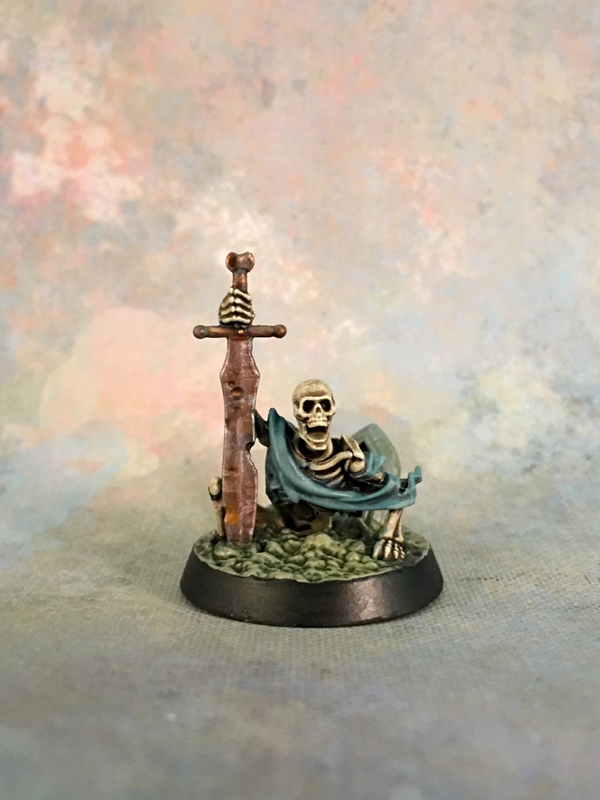 I went with a pink, pale flesh instead of the yellowed flesh I used to use; I really like this. The red turned out much brighter than it used to, I clearly don’t remember how I used to do it, but I don’t know where I went different. 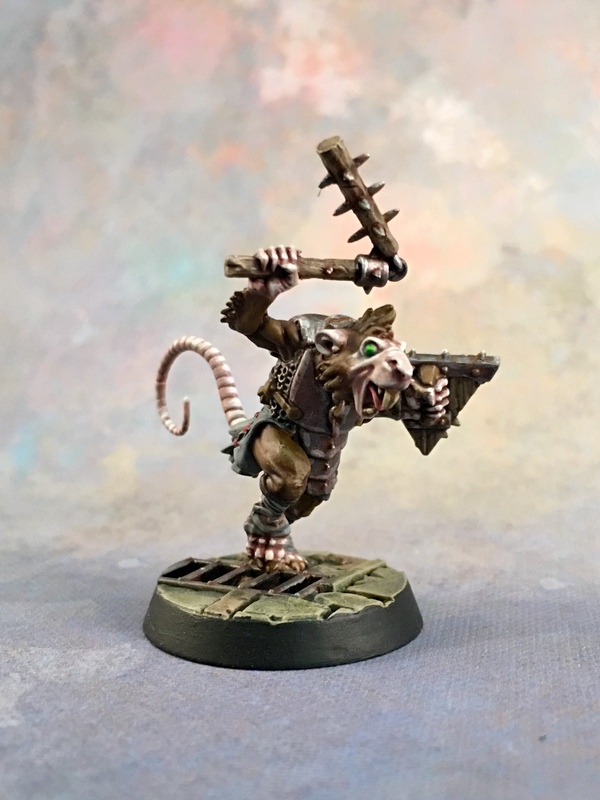 This entry was posted in Warpstone Pile and tagged hobby, Shadespire, Skaven on 2018-03-19 by Rushputin. 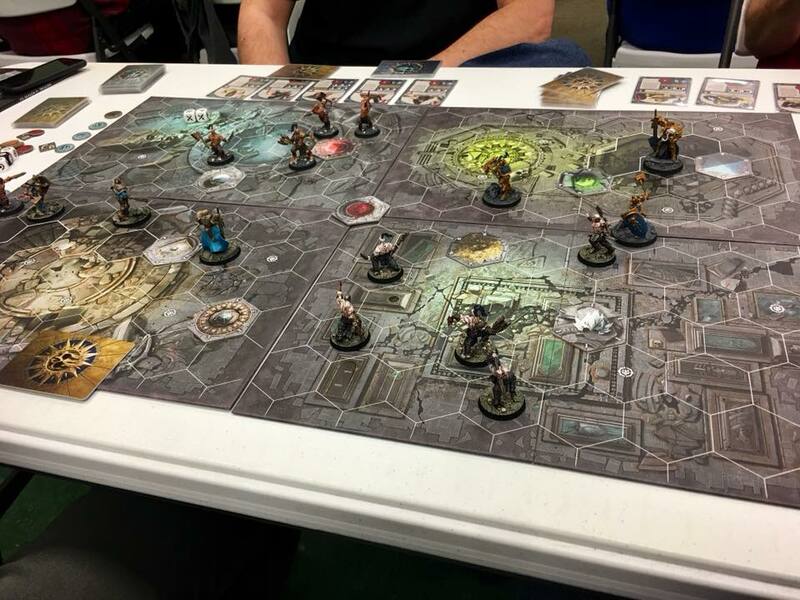 Almost forgot to post about this: I helped organize a quick Shadespire tournament last week at Huzzah Hobbies. 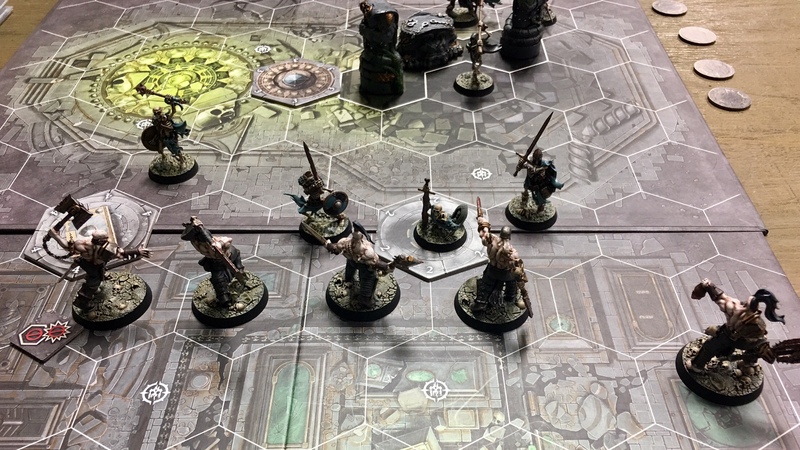 We figured/hoped that the speedy play of the game made it well-suited to a weeknight activity and it’d be an easy way to ensure that a few folks got in a couple of games… and were totally right. It was hugely successful: on a Thursday night, we got twelve people. We got three games in, and were done at a pretty reasonable time. No best two-out-of-three matched play. This makes sense, as it means you get to play more opponents. And, really, we had time for only three games. 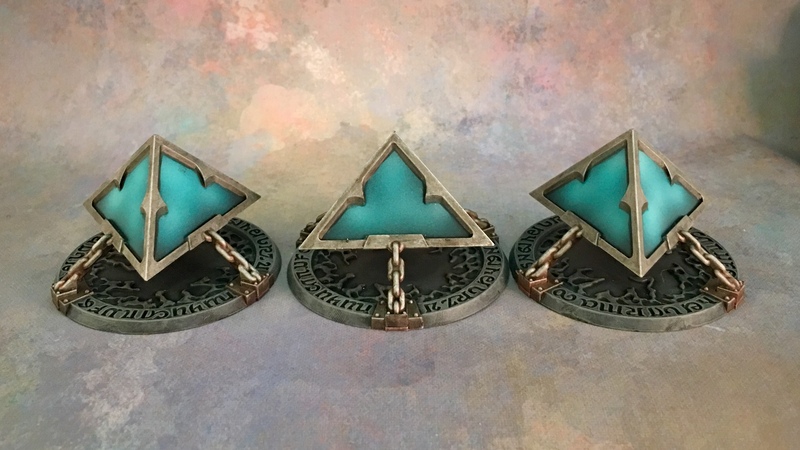 You need to track W/L/D and the Glory Point delta. This actually maps down to Glory Points per player; the rest can be calculated. Things went very smoothly except pairings. According to the packet, you effectively group players into brackets based on their number of Wins, Losses, Draws (3, 0, 1 points each, summed; simple enough) and then pair within brackets, matching the highest net Glory Points player in the bracket against the lowest net Glory Points in the bracket (okay) shifting the lowest & highest within a bracket up and down a bracket to account for any odd number of players (this was just too hard to do). I worked up a spreadsheet to track the event, ’cause that’s how I’m wired. 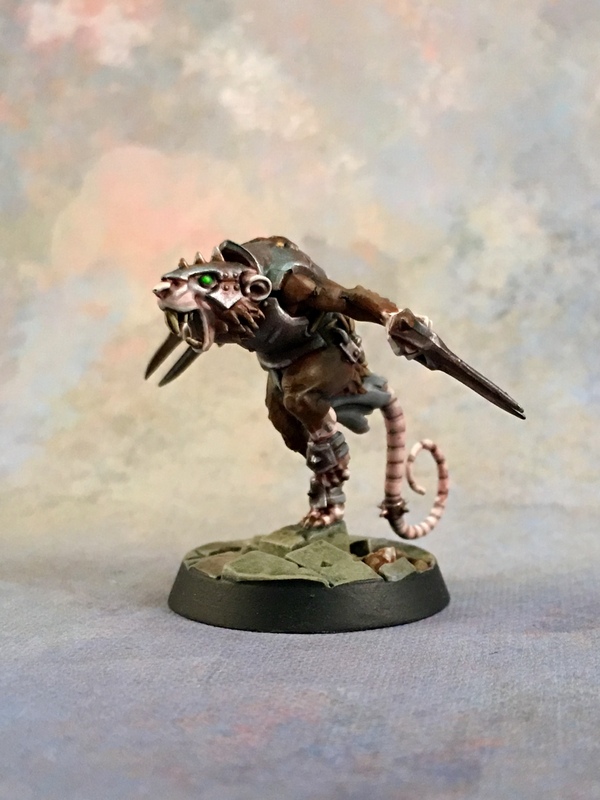 Came away from the evening with a few revisions to make, but for the most part it worked well. 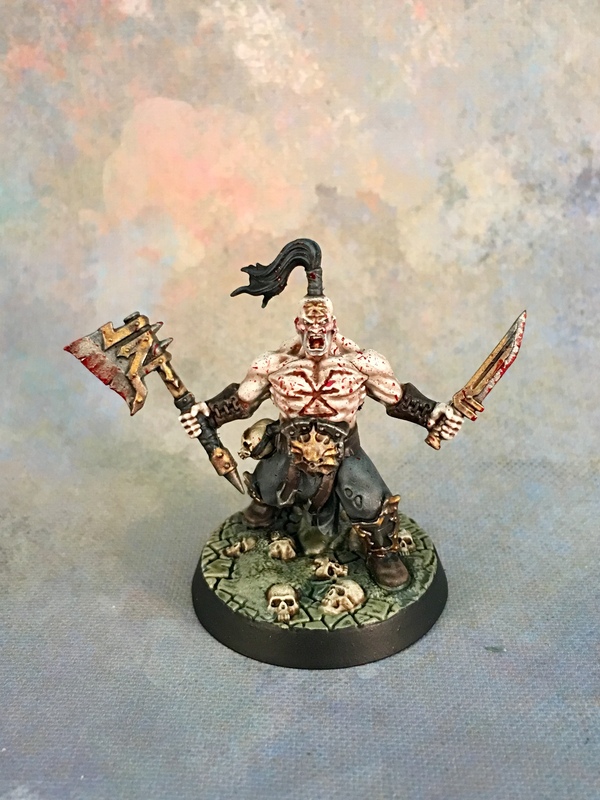 You can access (and copy) an updated version of the Google Sheet to use for your events here: Shadespire Tournament Tracking Spreadsheet. 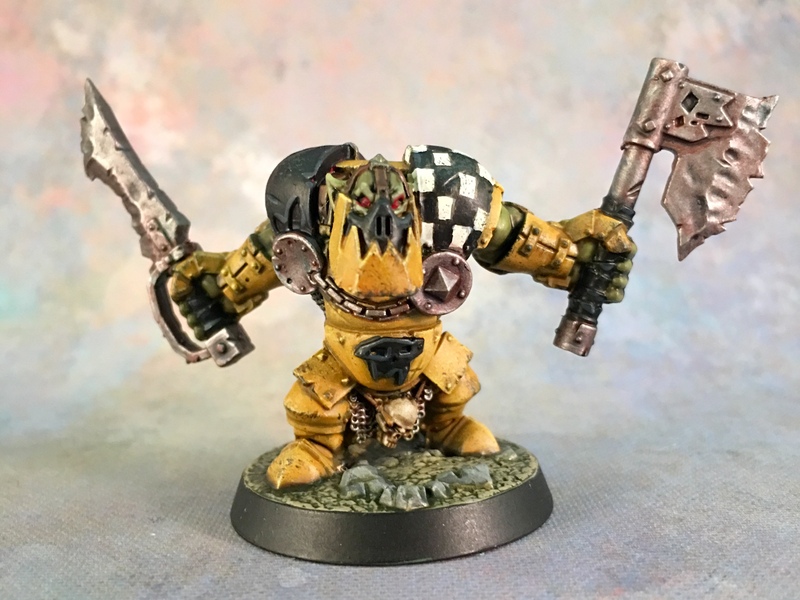 Wade took 1st with Ironskull’s Boyz, Thel took 2nd with Steelheart’s Champions. 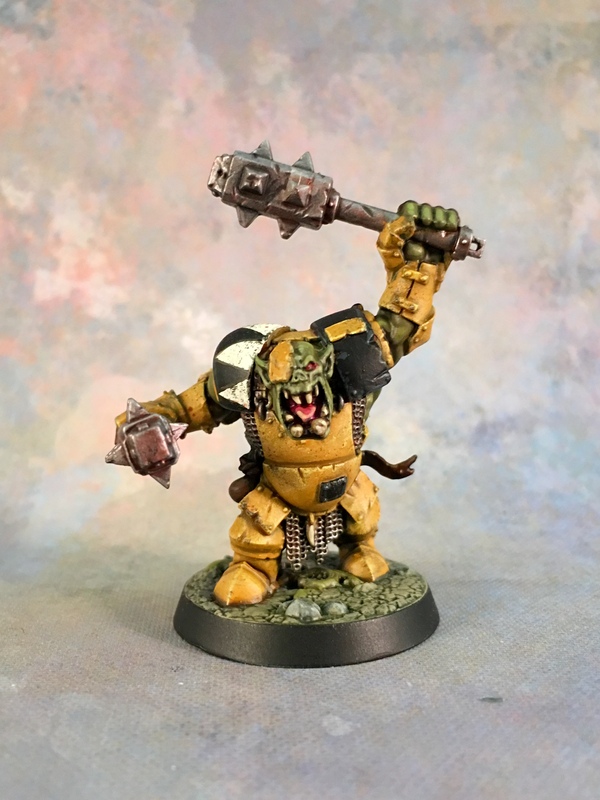 I ran Garrek’s Reavers and got the teeth knocked out of me: two losses and a draw. I’d have come in dead last, but that draw was in the last round vs. Casey and across all of the games, I had one (1) less Glory Point loss than he had (-9 Δ vs. -10 Δ). So far as I can tell, everyone had a really good time. I think the plan is to do it again in January. 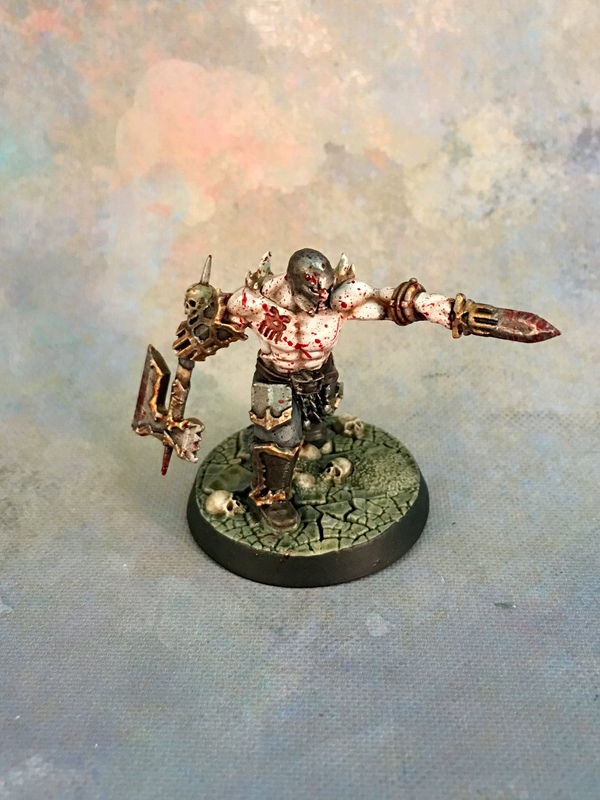 This entry was posted in Warpstone Pile and tagged Shadespire, tournaments on 2017-12-12 by Rushputin. 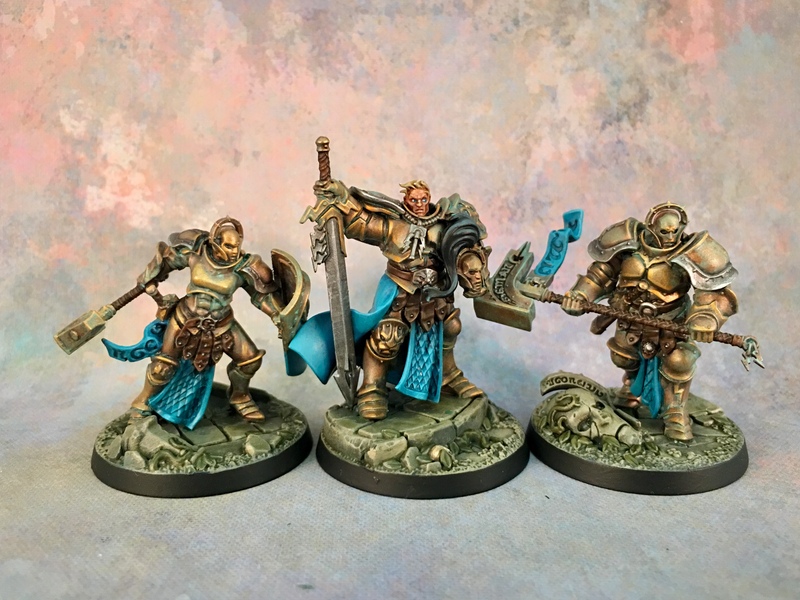 Of the four warbands I’ve painted for Shadespire, I’m easily the most happy with these. 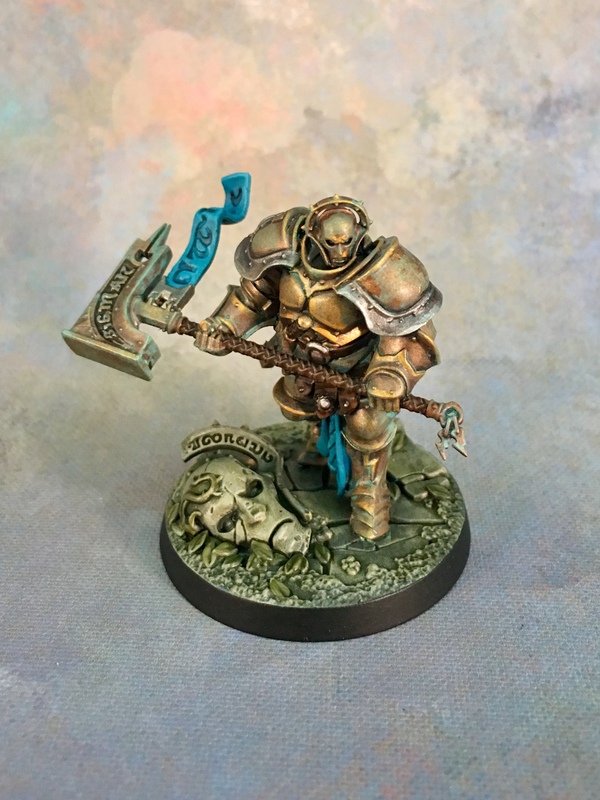 These specific models are why I picked up Shadespire; that they turned out the way they did makes me even happier with them. 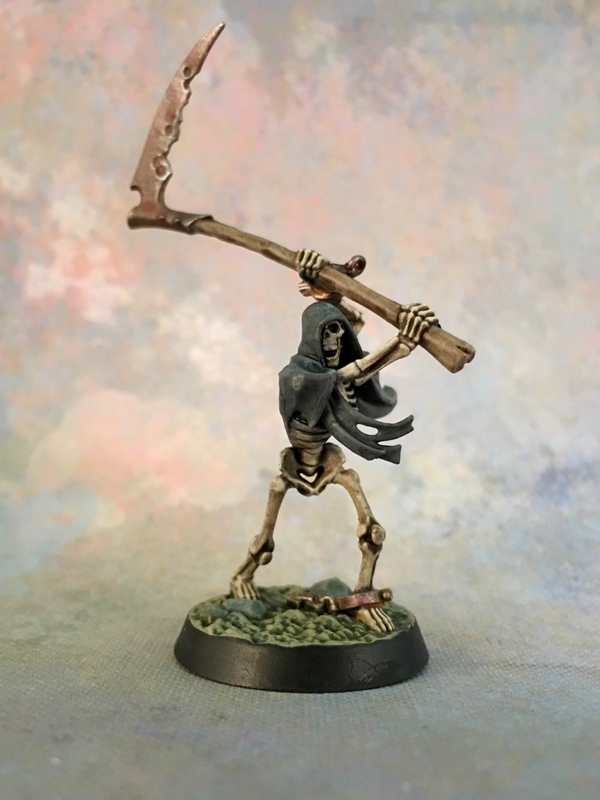 This entry was posted in Warpstone Pile and tagged hobby, Shadespire, Undead on 2017-11-13 by Rushputin. 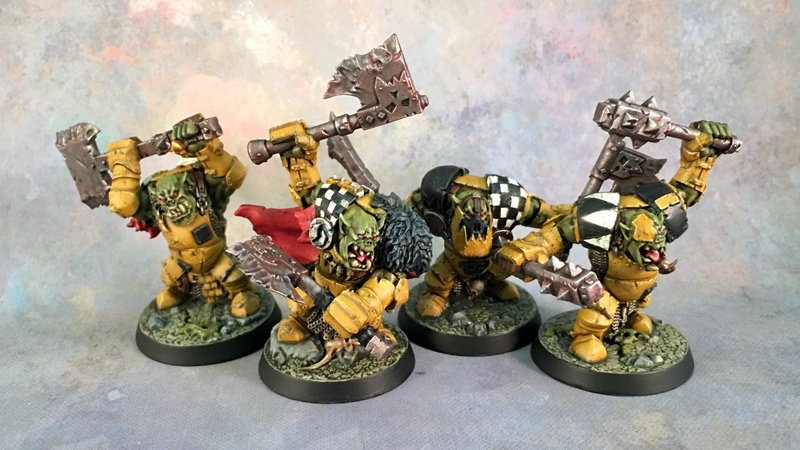 I’m only somewhat satisfied with these boyz: the chipping on the armor is awful, and the checks and dags aren’t as tight as I’d like. 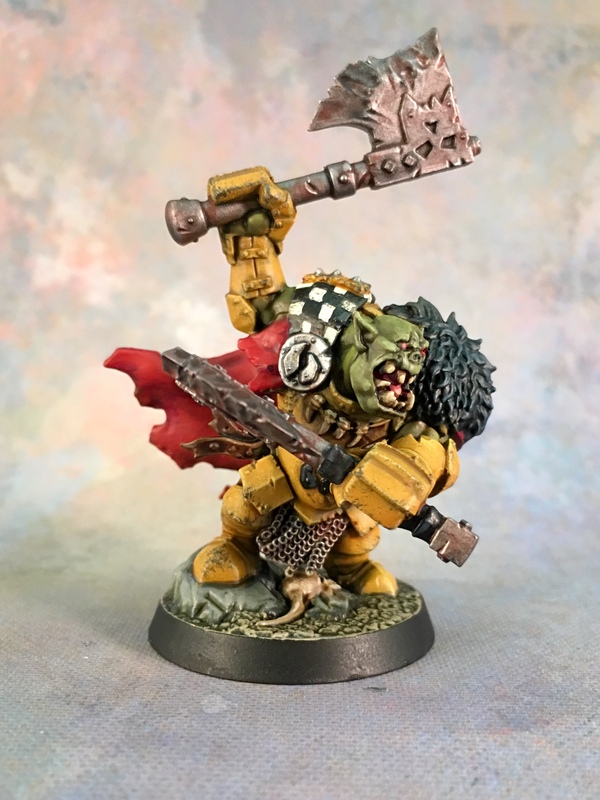 If I had a time machine, I’d go back and leave the yellow armor untouched. But they’re done and I’m ready to Shade some Spires. 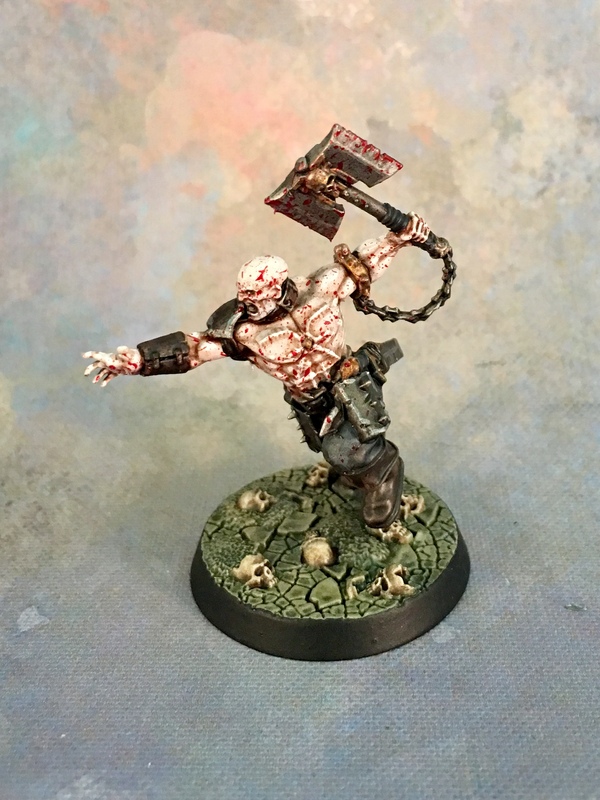 This entry was posted in Warpstone Pile and tagged hobby, Shadespire on 2017-11-13 by Rushputin. 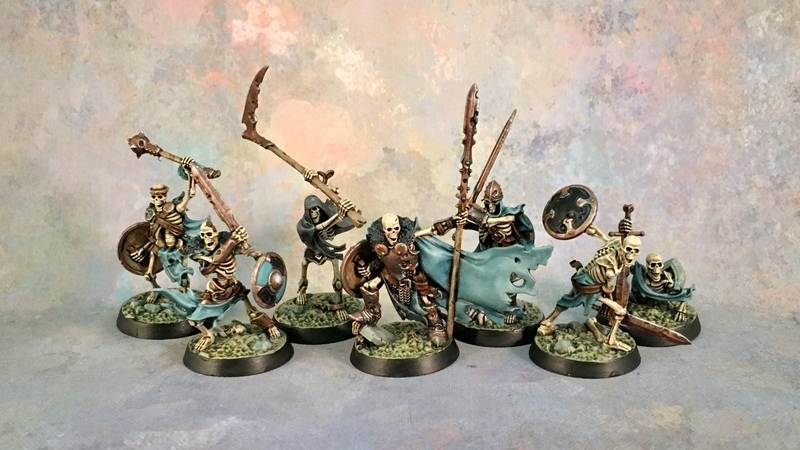 These guys were speedpainted, so there are definitely things that could use touching up, but I’m satisfied with them. 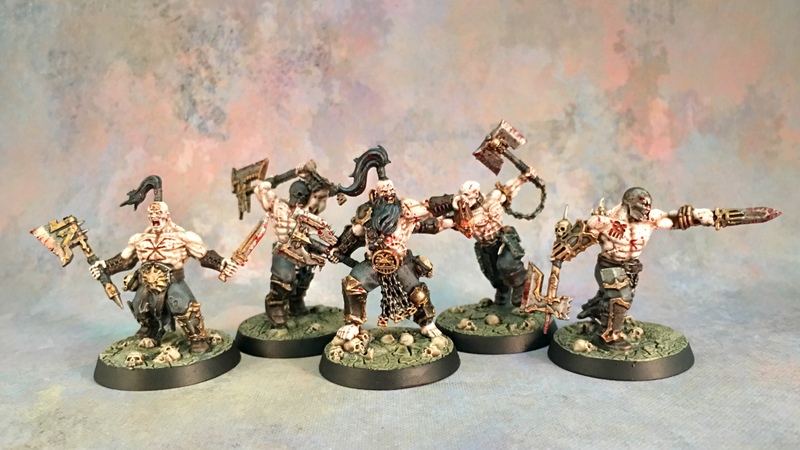 In fact, while I’m “These are OK” about the Sigmarite Steelheart’s Champions, I’m actually very pleased with how the Khornate Garrek’s Reavers turned out. 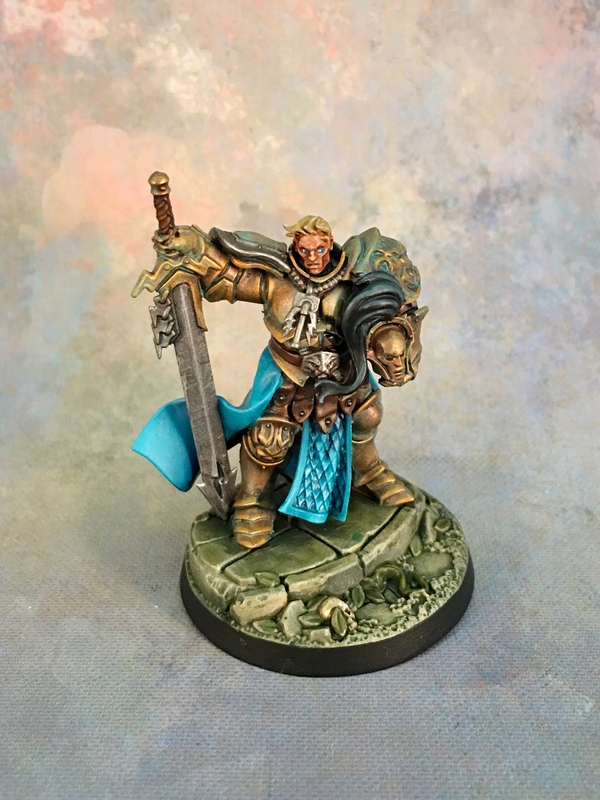 Not perfect, but striking. 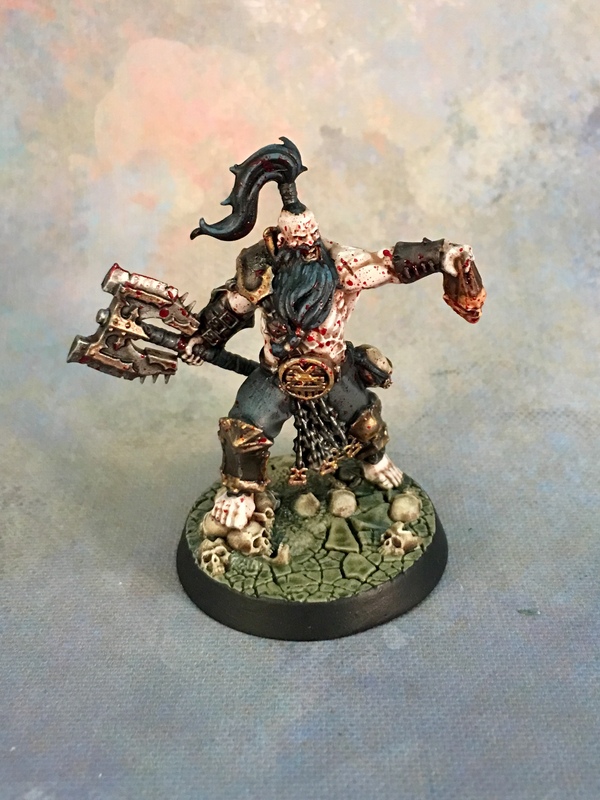 This entry was posted in Warpstone Pile and tagged hobby, Shadespire on 2017-10-30 by Rushputin. 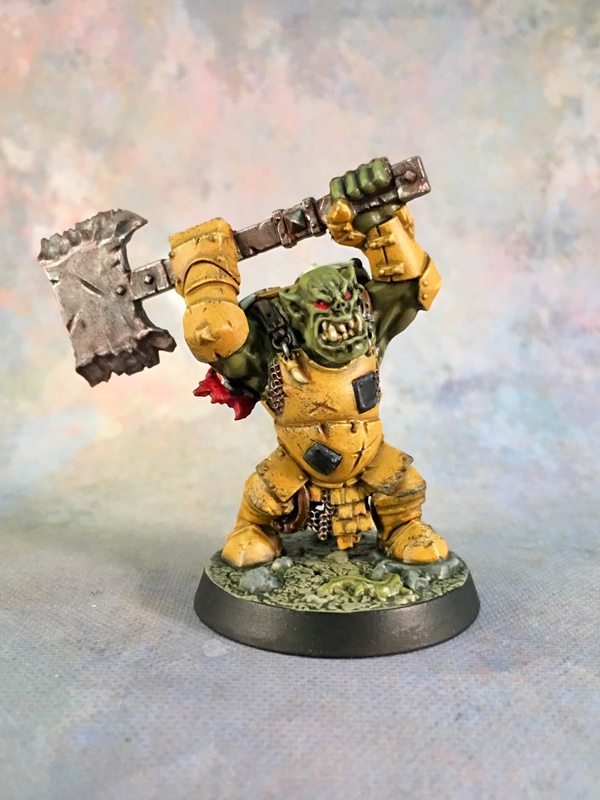 I wasn’t especially excited about Shadespire; the limited number of figures was attractive, but Games Workshop’s hyperbolic claims about it being the ULTIMATE COMPETITIVE MINIATURES GAME really turned me off. 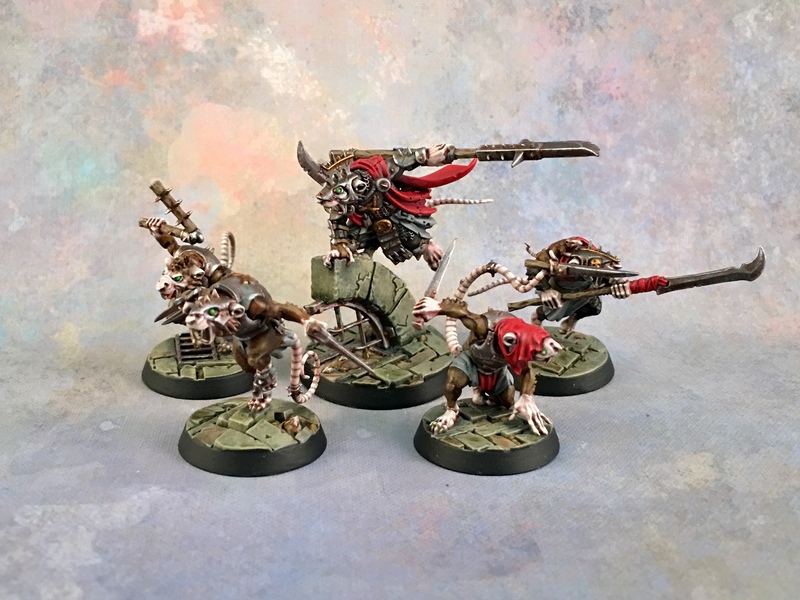 GW doesn’t have a history of producing the most competitive, balanced games. I’d seen some Geek & Sundry articles about it, the breathlessness of which would compel me to ask about ethics in game journalism (if doing so wasn’t a short path to demonstrating that one is an asshat). 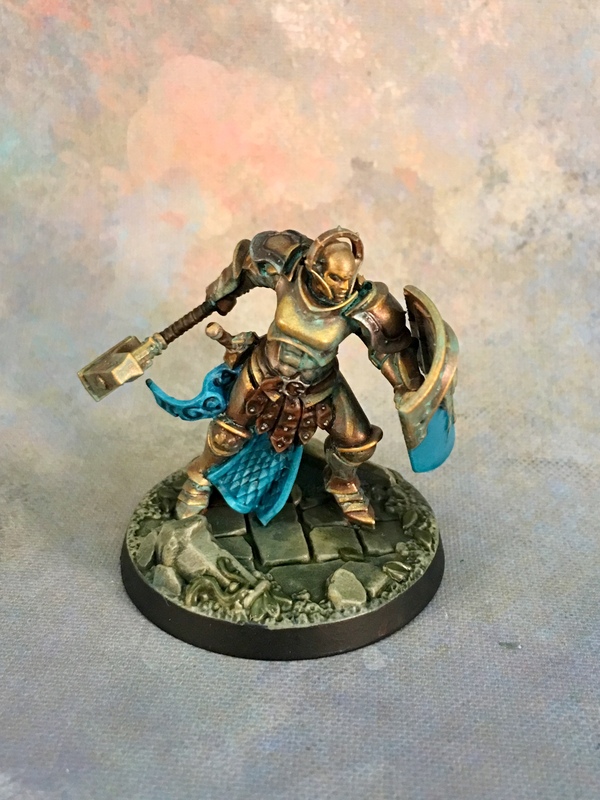 Anyway, I picked it up on launch day, looking forward to knocking out the 8 figures in no time and being able to play it fully painted. 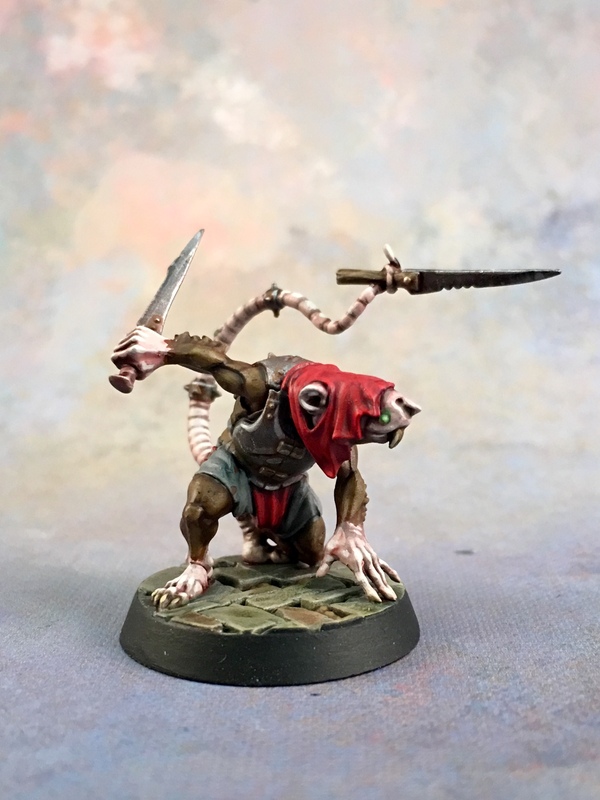 So: speedpainted the figures (a little bit on Sunday, Tuesday, Wednesday, mostly on Monday), and got the chance to actually play the game on Thursday. You know what? I really liked it! It plays insanely fast, is incredibly straightforward. I’m sure there are more competitive games out there, but there’s some decision-making that needs to go into building one’s decks and every. single. decision. matters. 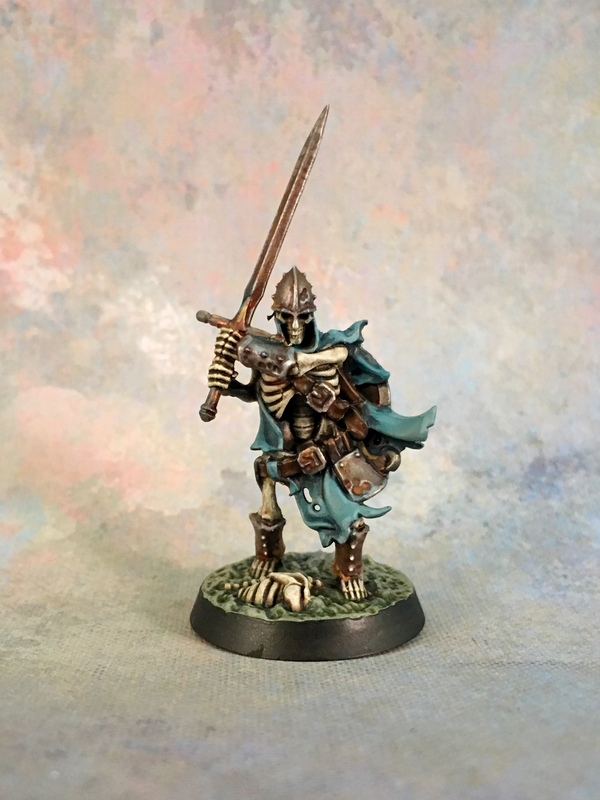 The game is really easy to pick up, and scales up simply: I played a couple of games with each warband and then we doubled-down and went four player to teach the game to two other players… very smoothly. One of the cool things about Infinity is the urgency around the game: you get three turns, not six. If you want something done, you need to start working on it ASAP because there’s no time to screw around. Also, with the orders system, the game is very much a resource management game: how many orders do you have, how many orders do you need, and how many orders will you have to spend to mitigate odds or compensate for them? 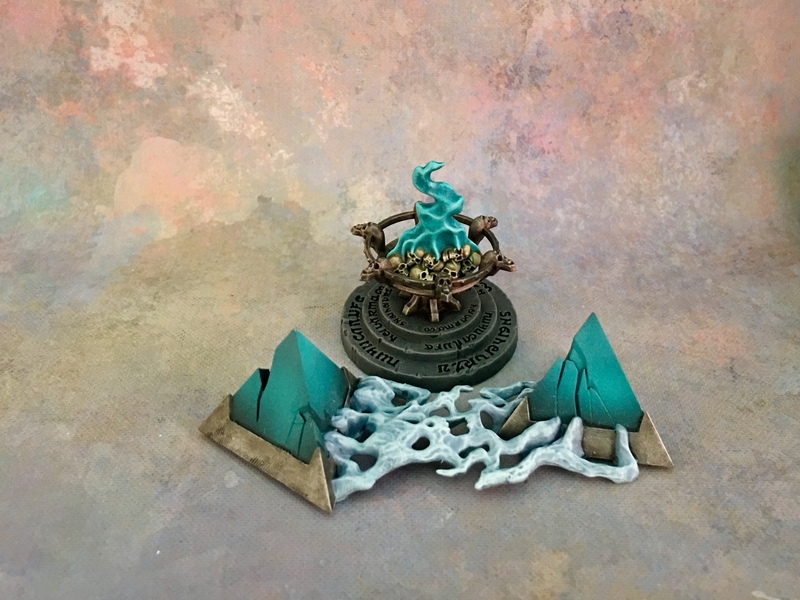 This is just as true of Shadespire, too: you have three turns and four actions a turn. That’s it. 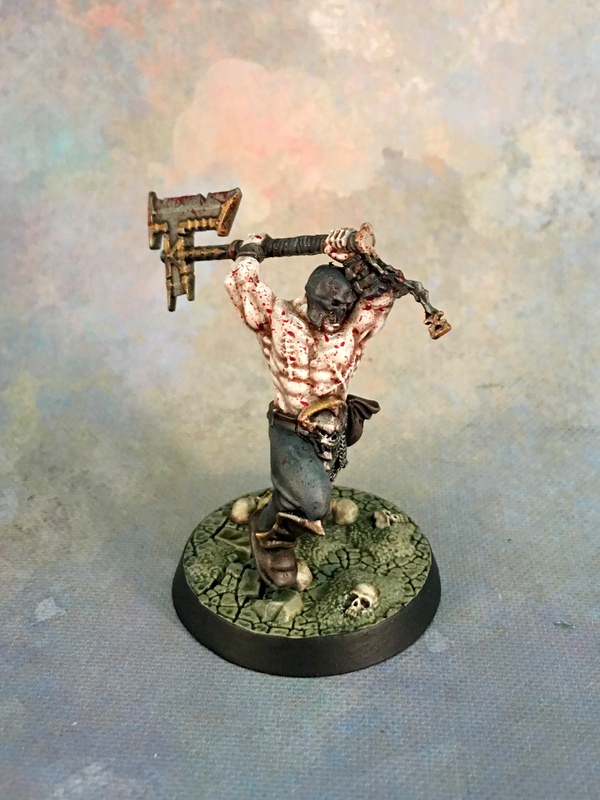 Twelve actions. 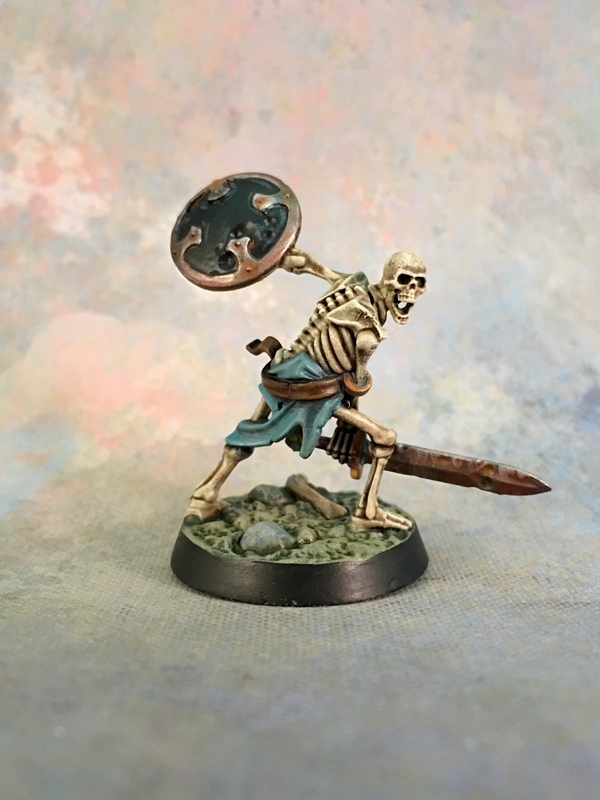 The playstyles of the two warbands are very different; between that and the distinct objective decks, the game plays very differently between the two warbands. 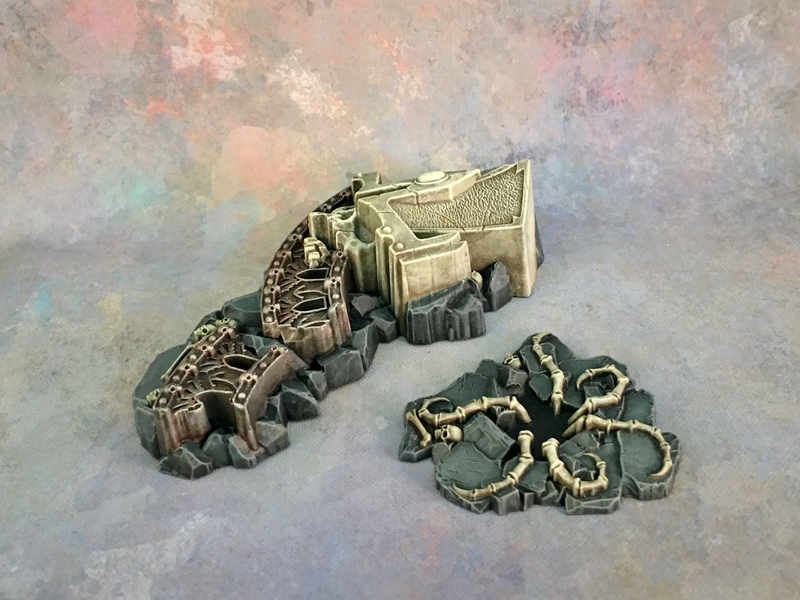 The Sigmarites are playing their game, the Marauders are playing a different one. 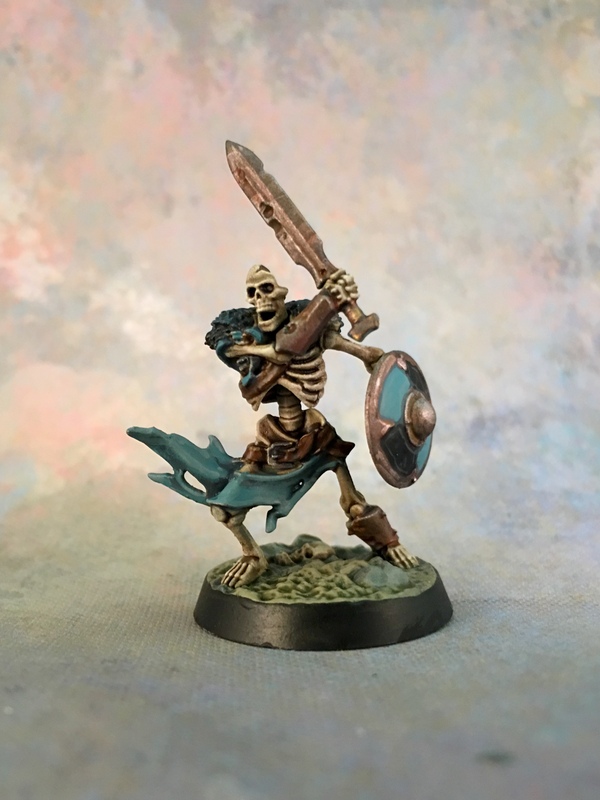 I’m really looking forward to picking up the next two warbands: it’ll be very interesting to see how the Undead, with seven models, gets around with only four actions a turn, and I’m sure the Orks will be right up my alley. 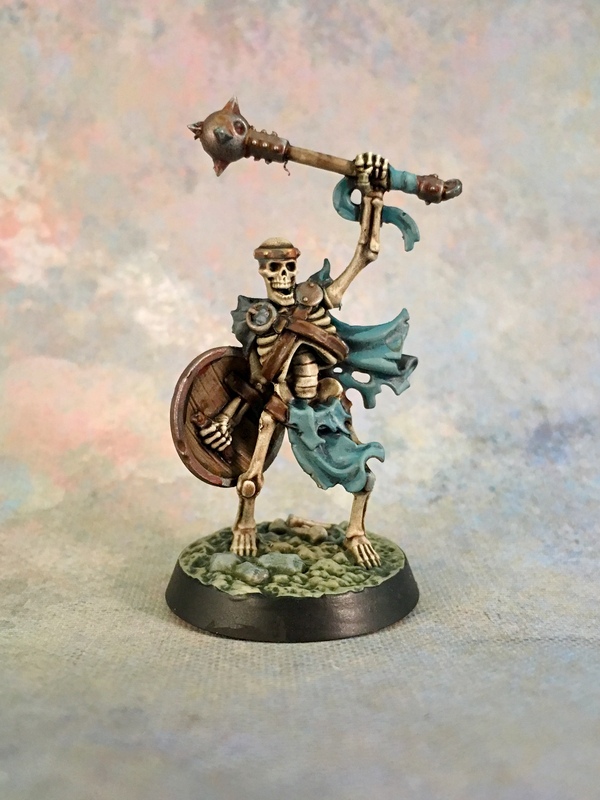 This entry was posted in Warpstone Pile and tagged Shadespire on 2017-10-30 by Rushputin.